DIABLO LOCO RECORDS is the new quality label focused on Tech-Funk, Electro-House, Tech-Breaks sound by top artists of the international scene. Inspired by the traditional Mexican wrestling culture and the famous Luchadores the label aim to deliver top class singles, remixes, compilations and design! 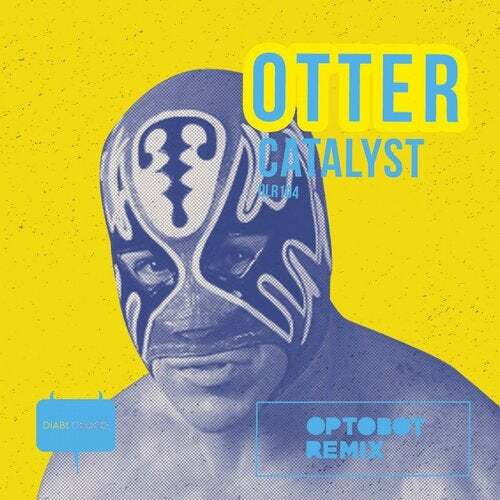 OTTER aka Francisco Of The Forest, the jungle man/jaguar outfit-like masked wrestler is back on DIABLO LOCO for his first proper label single! He's a heavyweight classed wrestler but his weight comes more from his muscular build than girth! He's been addicted to Voodoo religion and sometimes wears masks with mysterious symbols while his favorite color is yellow! He becomes very popular in the Luchadores society due to his unique and superb "Yellow Fever" move which helped him to win the wrestling championship in the Pata Frita islands, a thing that make Uzara (the local mafia don) really ungry!! Uzara and his gang set an ambush and managed to imprisoned Otter but OPTOBOT aka King Karateca (a member of the Luchadores League Of Extraordinary Gentlemen) came over for help and together with Otter throw some unique and powerful Tech-Funk moves and managed to win the battle against Uzara and his villains!